Whether she’s gearing up for a challenging round of golf, a sailing trip or heading out for a hike; Linda Maull puts everything she has into everything that she does. Linda Maull is a truly energetic individual who is committed to personal excellence. She is a big believer in living life to the fullest. As a leading professional, she is dedicated to making a positive and lasting impact in the lives of others. Quite simply, Linda loves what she does and it shows. When Linda made the move to Pinehurst, she immediately started taking part in everything this unique area has to offer. Most people are aware that there are 40 plus golf courses in the Pinehurst area. As an avid golfer, Linda doesn’t stand by when the U.S. Open comes to Pinehurst; she jumps right in and lends a hand as a volunteer. And there is so much more! Southern Pines is the heart of horse country for this region of the Carolina’s. Its breathtaking equestrian reserve offers equestrians unparalleled opportunities and world ranked equestrian facilities. The moderate climate and sandy soil are ideal for golf as well as for the horses. And if you love to garden, this is a paradise. After 40 years of real estate success, she has developed a sixth sense that enables her to zero in on her clients unique requirements. She will discover the hidden opportunities for her clients and intuit their unique needs. Valuable knowledge like Linda’s can only come from years of experience and a complete understanding of the buying and selling process, backed by a commitment to helping her clients succeed. As a dedicated professional, Linda holds several important professional designations and is always learning new ways to serve her clients more effectively. Using her proven marketing strategies, Linda knows how to make your home look its best to attract more qualified buyers. She employs top quality photographers, graphic designers and web professionals to position each of her listings at the forefront of the real estate search engines. Linda takes responsibility for attending to all of the details, such as getting floor plans drawn and professional brochures produced. Her virtual tours and individual property websites attract buyers from around the world. Linda is committed to serving her clients interests from the very first meeting to long after the transaction is successfully completed. Finding the right real estate professional to help you buy or sell your home makes a big difference. With her enthusiasm and experience, it’s no wonder that Linda Maull is the REALTOR® more people turn to when it comes to reaching their real estate goals. 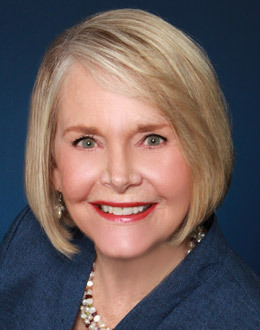 If you’re considering buying or selling property, call Linda Maull. She has the expertise and energy to help you succeed.